UK ice cream probe: One in five vanilla ice creams has no vanilla, cream or fresh milk, says Which? You are in : All News > UK ice cream probe: One in five vanilla ice creams has no vanilla, cream or fresh milk, says Which? 27 Aug 2018 --- Half of the ice creams investigated by UK Consumer Association Which? failed to include fresh vanilla, cream or milk. Vanilla ice cream may be a favorite among UK consumers and sales have soared over the last few weeks as Britain has experienced a heatwave, but a new survey by Which? has revealed some surprising truths about vanilla ice on the shelves of UK supermarkets. Traditionally, vanilla ice cream is made from a few simple ingredients: fresh milk, cream, egg yolks, sugar and vanilla which are frozen and aerated. However, according to Which?, many shop-bought ice creams have long lists of ingredients including partially reconstituted dried skimmed milk and in some cases whey protein. Which? looked into popular vanilla ice creams, including Häagen-Dazs, Carte D’Or, Ben & Jerry’s and Wall’s. Of the 24 that were examined, five contained no cream, no fresh milk and no vanilla. Seven were missing at least one of these key ingredients. That left just 50 percent of those vanilla ice creams examined listing fresh milk, vanilla and cream on their label. The five ice creams that had no trace of fresh milk, cream or vanilla were Asda, Ms Molly’s, Morrisons, Tesco and Wall’s. Of the 12 ice creams that did contain all three of the traditional ingredients, which included popular brands Green & Blacks and Ben & Jerry’s, the ice cream with the most authentic ingredients was Häagen-Dazs vanilla which contains just: fresh cream (39 percent), condensed skimmed milk, sugar, egg yolk and vanilla extract, and costs £9.13 (US$11.72) per liter. Which? says that seven of the ice creams investigated were missing at least one of the key ingredients. For example, Carte D’Or contains vanilla, but no fresh cream or milk. In contrast, Asda Soft Scoop Cornish Vanilla Ice Cream doesn’t contain vanilla but fresh cream and fresh milk are both on the ingredients list. The ice cream probe also found that cream and milk are often substituted with partially reconstituted dried skimmed milk and in some cases whey protein. As whey is what’s left over from milk when making cheese, it is traditionally considered as a waste product but is now often used in protein drinks. However, in ice cream it is used as a filler and in "dairy ice cream" counts towards the dairy protein. 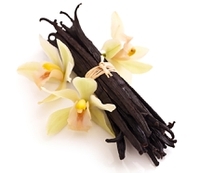 Vanilla is often replaced with a general “flavoring.” If it is not specified as "natural flavoring,” then it is most likely to be from vanillin, a synthetically made vanilla flavoring. Vegetable fats, such as palm oil, coconut oil and palm kernel oil – mostly in soft scoop, cheaper brands and own-brand varieties, but also in Carte D’Or – were also found in some ice creams. These oils often replace actual cream because they are cheaper, but still give a smooth and creamy texture. Water is the main ingredient in Tesco’s vanilla ice cream, followed by sugar, reconstituted dried skimmed milk and buttermilk powder. Which? says that until three years ago, a product labeled “ice cream” in the UK had to contain at least 5 percent dairy fat and 2.5 percent milk protein. However, since the introduction of the Food Information for Consumers Regulations in 2015, these rules no longer apply. “This means that vegan products can now be called ice cream and that manufacturers can reformulate to reduce fat but still call their products ice cream. On the flip-side, it also means that cheaper products made with lower-quality ingredients can also be labeled as ice cream,” says Which? “What’s clear is not all ice creams are created equal,” the watchdog concluded.